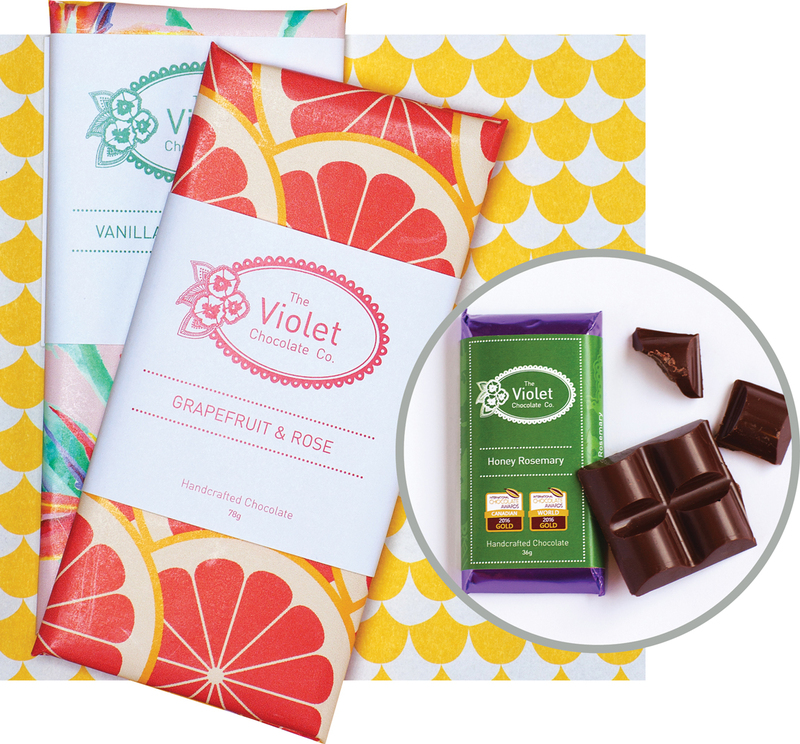 The innovative bars Rebecca Grant crafts for The Violet Chocolate Company have received international acclaim. One year after she launched The Violet Chocolate Company in 2012, Rebecca Grant decided to attend the second annual Canadian National Chocolate Awards. She didn’t think her new company could compete with the more established brands on the market, but figured it would be worth it for networking opportunities alone. To her surprise, she ended up bringing home a gold medal. “They [the award presenters] got to the name of the company and were like, ‘we have no idea who this is,'” laughs Grant. It was just a hint of what was to come – since then, The Violet Chocolate Company has won a combined total of 11 International Chocolate Awards and 33 Canadian Chocolate Awards. Though Grant has consistently won at various chocolate competitions, that doesn’t always mean her risky flavours are well-received. “I was talking to the head judge [at the International Chocolate Awards] and he said, ‘It’s funny because some of your flavours do really well at the Canadian competitions, but you’re just a little too far ahead of where the European countries are in terms of flavour profile,'” Grant says. Some combinations – with inclusions like taco spices or coconut curry – require adventurous palates.